All TROPIC ISLE 6TH SEC homes currently listed for sale in Delray Beach as of 04/21/2019 are shown below. You can change the search criteria at any time by pressing the 'Change Search' button below. 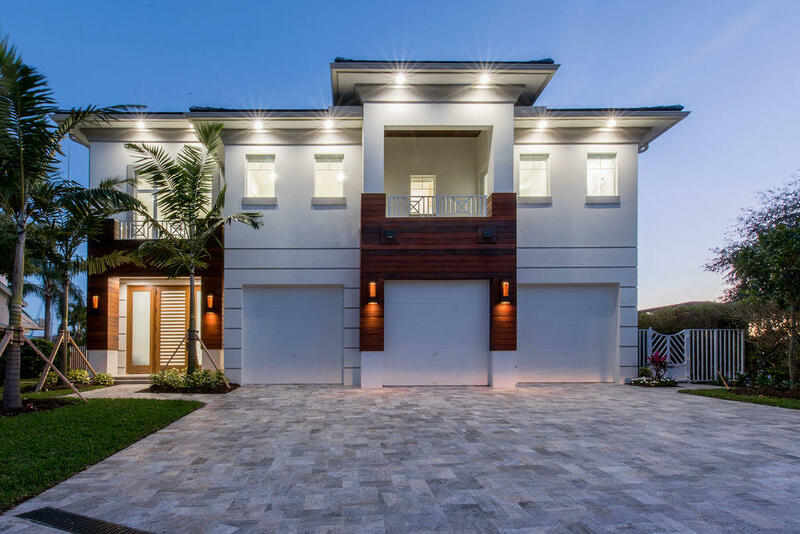 "This luxurious 2019 estate sits on a beautiful corner lot in Tropic Isles, one of Delray Beach's coveted boating sanctuaries. This property was recently built on an exquisite lot with 100 feet of water-frontage--perfect for boating enthusiasts. Features include over 4,260 square feet of grand living space, including 4 spacious bedrooms, a den/library with private bath, 5 full baths, powder room and elevator. The upstairs master suite includes a very large balcony and has two separate his/her master baths. Builder spared no expense and included only the most exquisite of materials and finishings. The backyard features a spectacularly designed heated pool and spa. Enjoy stellar water-front views from every room of this house!"